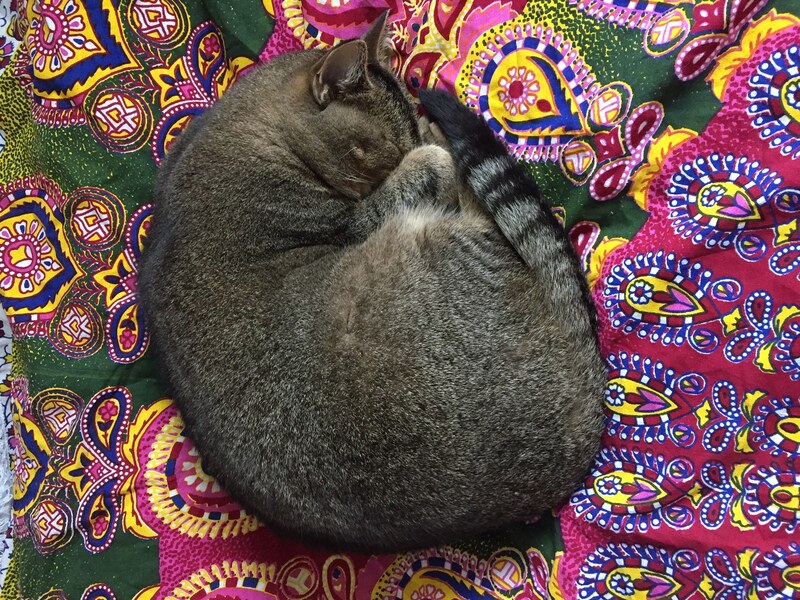 November was a quiet month with grey days, long naps, and recuperating from the busy gardening season. 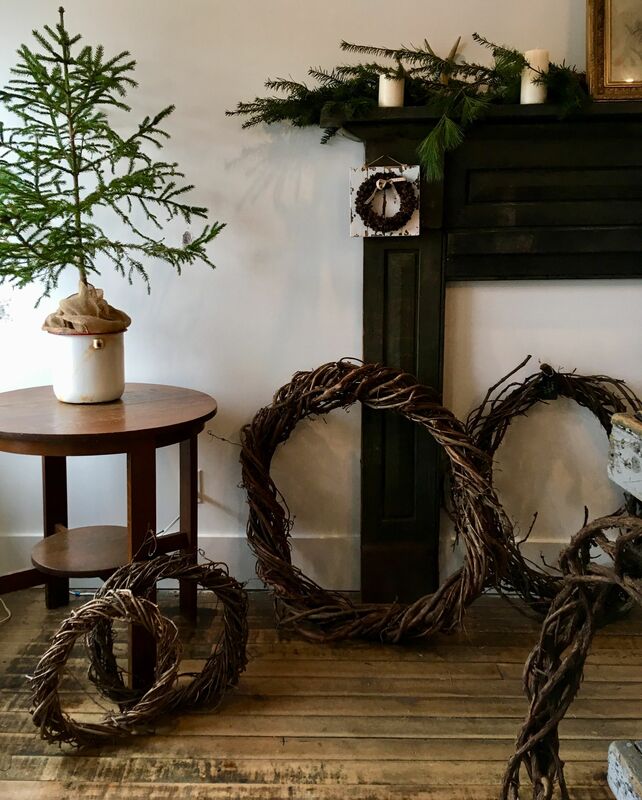 We made wreaths with grapevine from the hedgerows; I like to imagine sylphs blowing in with the wind, picking up the vines, and twirling them into wreaths. They are available at Atelier 522 - my neighbour Elizabeth’s beautiful gift shop in Neustadt! The overall feeling I hold now is one of gratitude. Thank-you for being part of the liveliness of this past summer. We expanded the garden, and connected with new vegetable lovers. 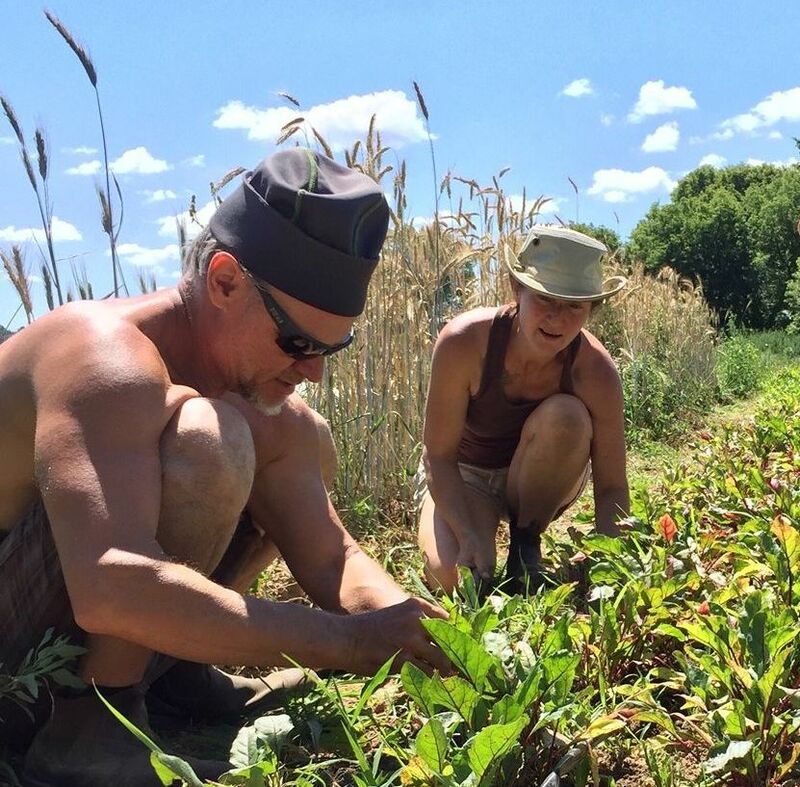 Thank-you to our CSA members! I cherish your ongoing support. You encourage me to keep going, and remind me of the importance of good vegetables. A big thank-you to Rebecca Thivierge, who joined the Crickhollow team while there was still snow on the ground. She came with a wealth of knowledge from growing up the child of a gardener, working on local farms as a youth, and interning on the west coast. Our great squash this summer was all thanks to Rebecca! She introduced me to the Queensland Blue variety, made sure the seeds and starts got in the ground, and ensured that we harvested in good time. With the help of our friends Doug and Heather, we connected with new vegetable lovers in Toronto. We are looking at creative ways to keep this connection active throughout the 2019 season, so stay tuned! Another new customer we added this year is Chicory Common in Durham! 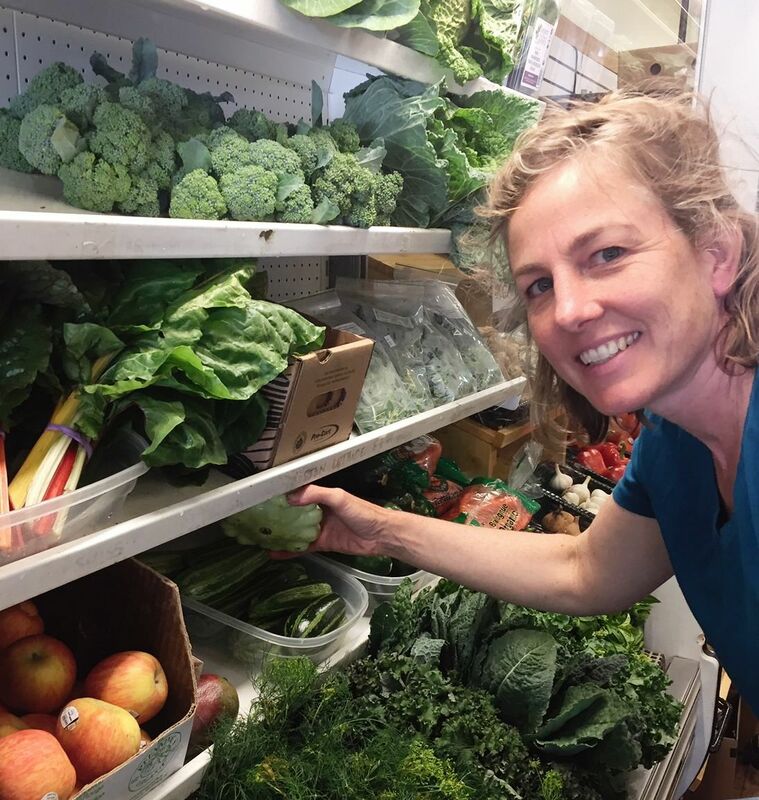 It was so satisfying to fill up their fridge twice a week with glowing vegetables, and we are grateful to David Amonite for this opportunity. It was a successful season for the Eatwell Market in Hanover. We shifted to Saturday mornings, and welcomed new vendors and shoppers. The exciting news for 2019 is that we are expanding the market by including artisans! Thank-you to all our market shoppers; I absolutely love being at market and interacting with people. I love hearing your recipes! Thank-you to Greg Stewart, the president of Eat Local Grey Bruce, who convinced us to join! With this beautiful new connection, our produce is now available from Port Elgin to Collingwood, Hanover, Owen Sound, and Lionshead. Greater still, we are now the Neustadt pickup location! With the challenges of running a business in a rural environment where customers are so far apart, it just makes sense to collaborate. As manager of Eatwell Market, I can combine our marketing efforts. Crickhollow made a leap forward in 2018 and we are keeping the momentum going for 2019. Heather Saumer has joined us in Communications, Organization, and Outreach! You can look forward to hearing news on the farm throughout the coming year. We also plan to hire Rebecca as our first fulltime employee. We are proud to have attracted and kept an energetic couple to our area; Rebecca, Darcy, and their dog Goat have now settled in Neustadt. In order to cover costs of a fulltime employee, we will be increasing our CSA membership to 30. We will update our website in January, so stay tuned for registration time! 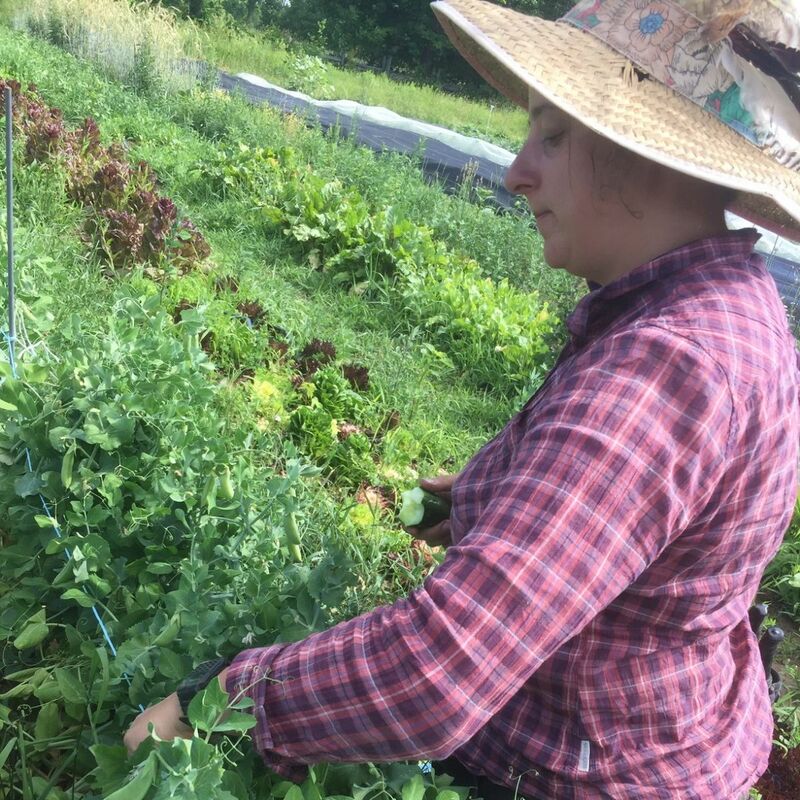 By pre-selling by using the Community Supported Agriculture model, we can hire someone with full confidence. Lastly, I want to say how much we really appreciate the energy that our wonderful volunteers bring – most notably Natasha, Brad, PJ, and Doug. We always welcome more volunteers, and send you home with vegetables! You are receiving this newsletter because you have been a CSA member in the past or otherwise know us :) If you would rather not get the newsletter, please unsubscribe below or reply back to this message. If you know someone who may be interested in our newsletter, CSA, or Hanover Market, please forward this email to them. They can subscribe to future newsletters too! Copyright © 2018 Crickhollow, All rights reserved.